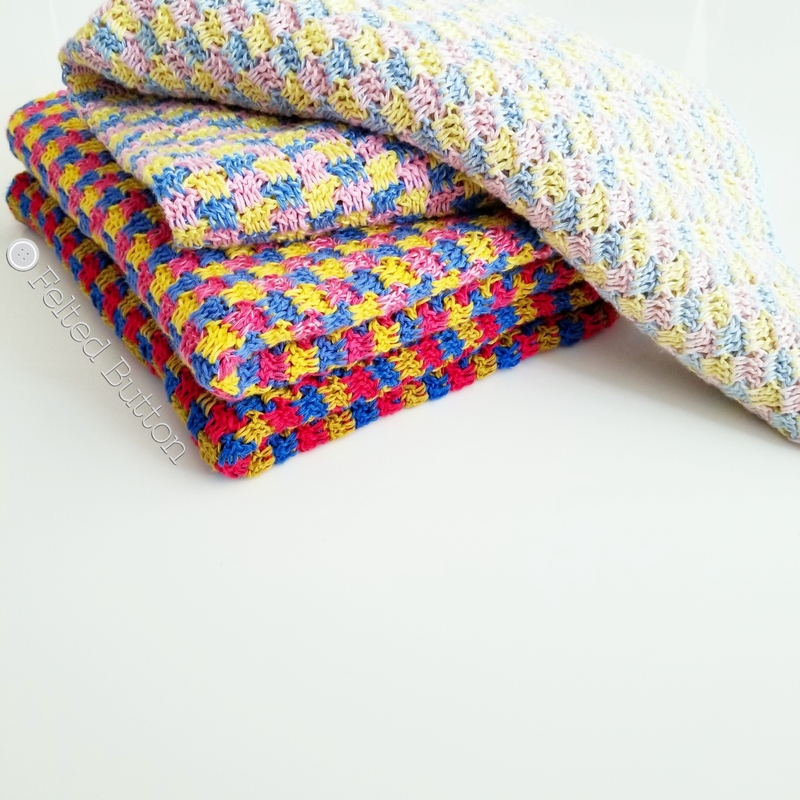 Have you made a Trio Blanket yet? It seems like so many have made at least one, and many people have shared with me the multiple Trios they've made. 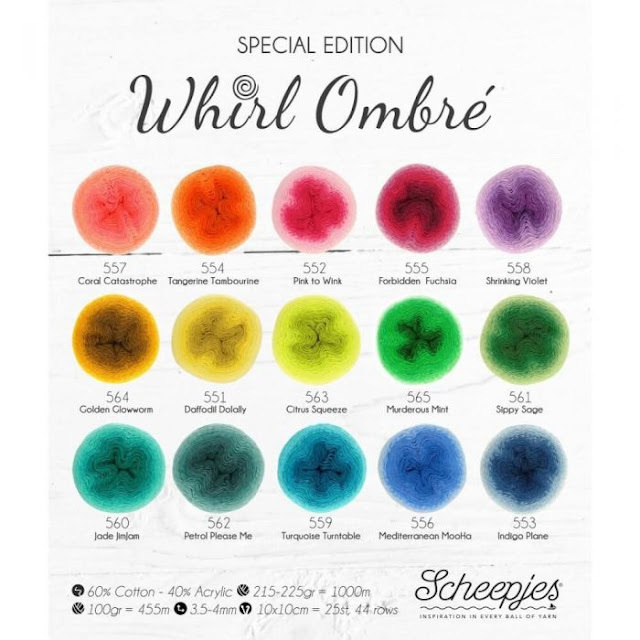 I recently made up a lovely new Trio with three Scheepjes Whirl Ombre cakes. Wanna see? Why do you think it has been so popular? Maybe it's because it's a super rhythmic and relaxing crochet project with a gloriously magical effect. In other words, the yarn does all the hard work! Isn't that fade terrifically cool? Such a different vibe going from rich and intense to pale and pastel. Maybe another reason is the many choices of colors. It's intriguing to see how the colors flow together. I follow #trioblanket on Instagram to peek at color choices made by other crocheters and am never disappointed. Honestly, I've never seen an "ugly" Trio--it's simply not possible! For this sample, I used Pink to Wink, Mediterranean MooHa and Daffodil Dolally. The fade makes me silly happy--I swear I crochet faster to get to the next color change. Wouldn't one in Jade JimJam, Turquoise Turntable and Mediterranean MooHa be sublime! Sigh. I could play with color combinations all day. 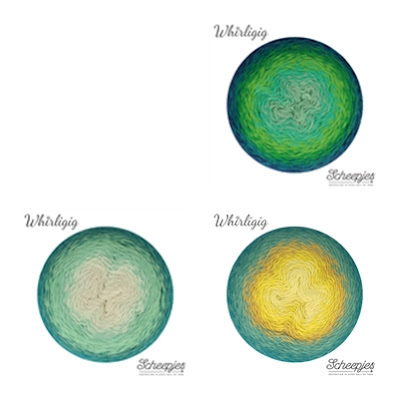 To see all the colors of Whirl available, click here*. Speaking of color combinations, I even took a gander at the new Scheepjes Whirligig* yarn. It's a Whirli-GIGANTIC cake (450g/1000m) of the most glorious wool/alpaca DK yarn. 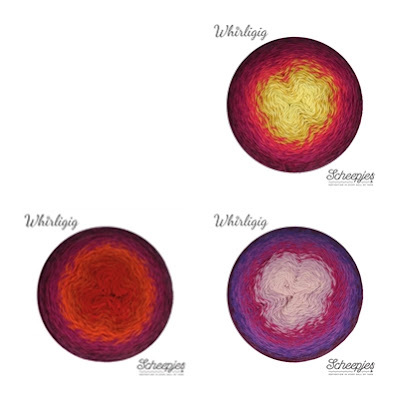 Whilst dreaming about a Trio Blanket made with this heavenly stuff I came up with some color combos. Or what about these 3? If you don't remember my orginal Trio Blanket you can see pics of the yarn and WIP here, the full blanket reveal here and find the free pattern here. Are you ready for something great to be made even better? 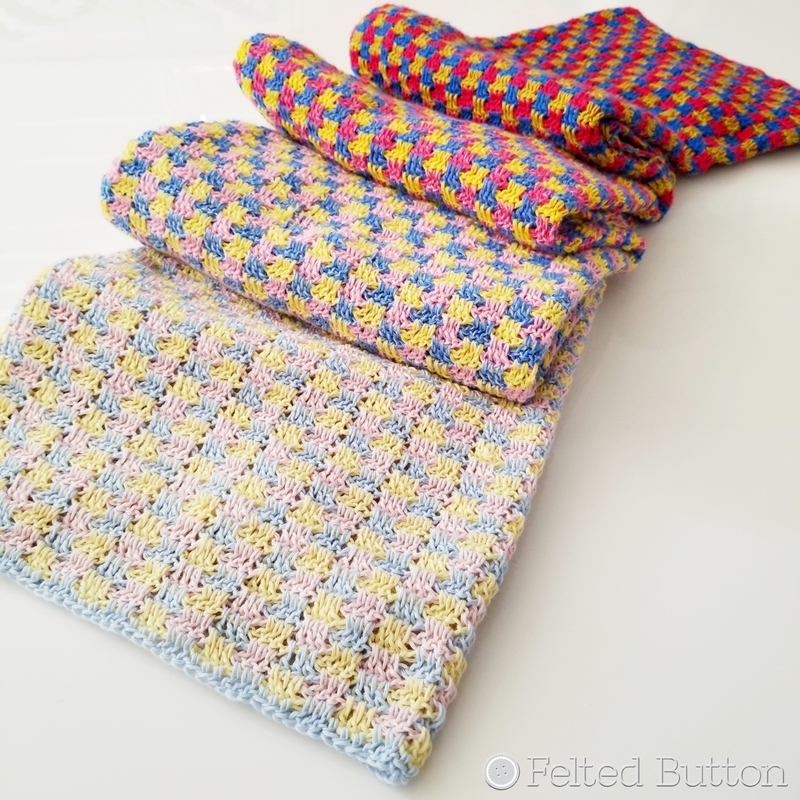 Today I'm updating my popular Trio Blanket pattern with a symbol chart. I've had many requests from people around the world who don't speak English or Dutch to provide a chart for my Trio so I finally got one put together. You can find that chart on the updated original blog post with the pattern here, but if you've purchased a copy of the PDF from Ravelry ($2), you'll get an updated pattern in your library, too. I hope this helps--now Trio is available in English (US and UK), Dutch and now with an international symbols chart. Finally, I've been hooking away with another Whirl project. Now don't be "green" with envy over the incredible colors. 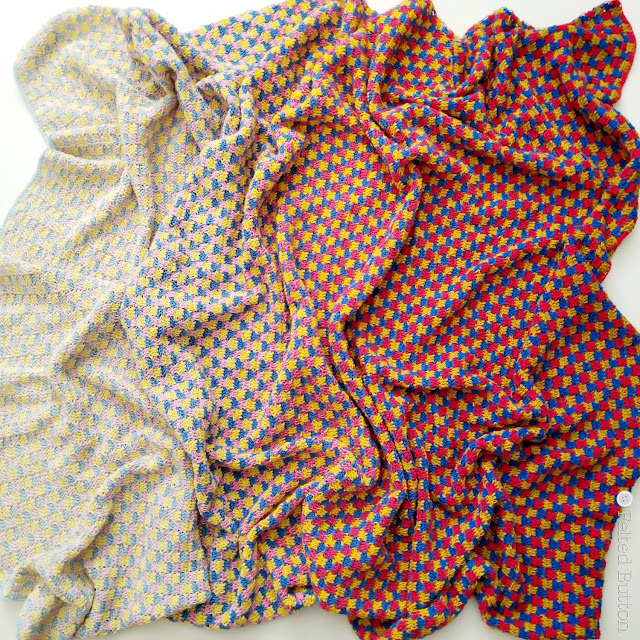 I'll be growing this blanket-to-be into a throw size soon and showing you over the coming weeks. Watch next week for some more WIP pictures and more detail about the yarn colors I've been using. 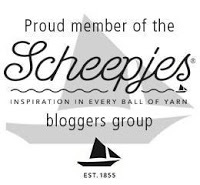 For a complete list of local Scheepjes stockists, click here. Happy, happy hooking, my friend! 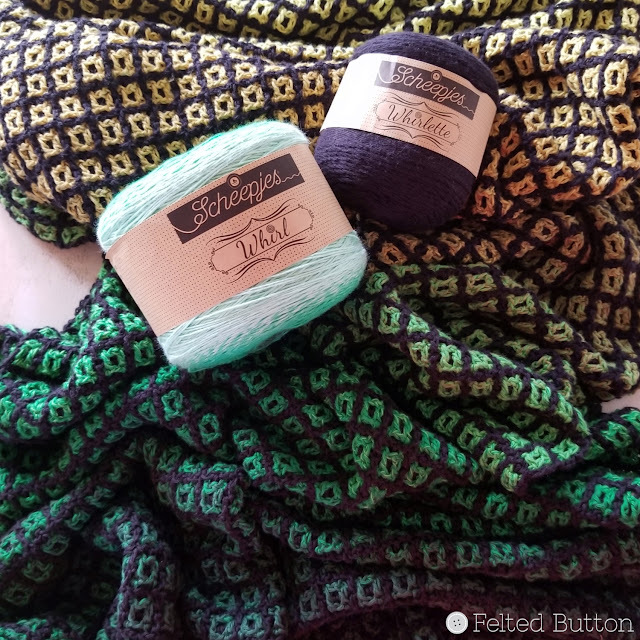 You are more than welcome to join me and other yarn-minded souls on Facebook here, Instagram here or in my own little Felted Button Crochet Community here. Toodles! | On the Board | -- Talk to yourself like you do to someone you love. 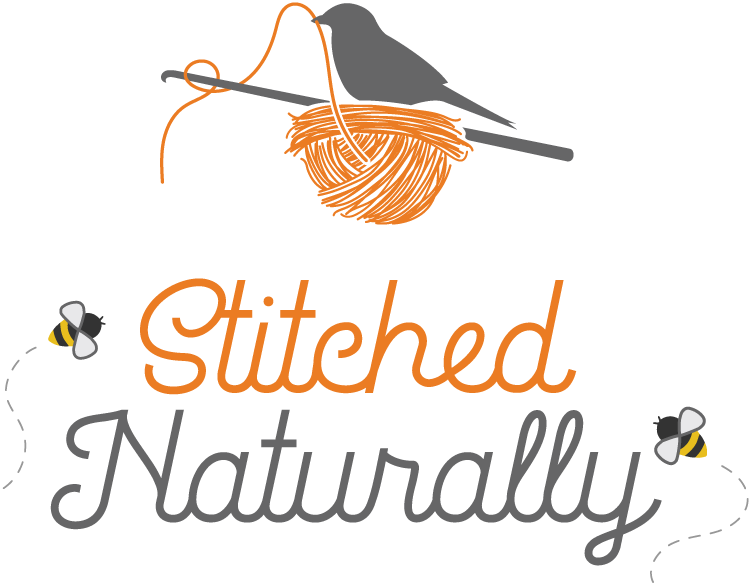 *This post contains affiliate links that if used by you cost you no more but provide me a small commission to help me to continue to blog and provide free patterns. Thank so much for your support.